← Wanna join me for drinks this Saturday? 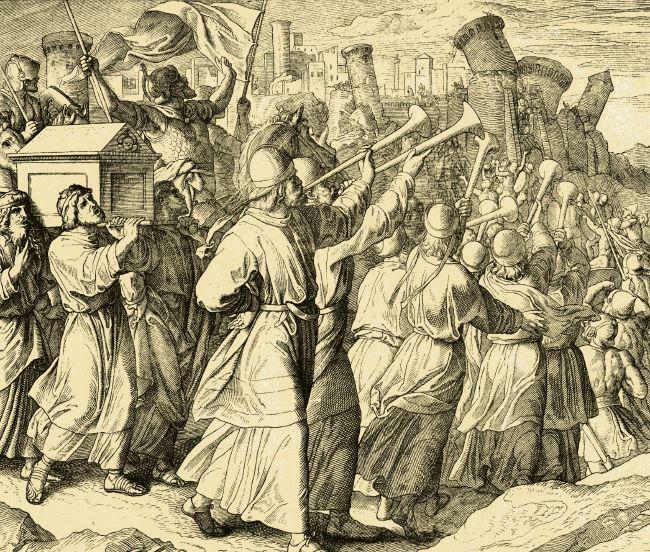 Why is the God of the Old Testament so violent? Jesus seems so peaceful, loving and serene (except for some outbursts at the religious hypocrites). Yet the actions of God in the Old Testament sometimes border on barbaric and genocidal. What’s up with that? If you haven’t wondered about this, I promise that your friends have. It’s an important conversation to have in our increasingly diverse and informed world. Posted on August 6, 2015, in Uncategorized. Bookmark the permalink. 6 Comments. The video did a great job of looking back at the Old Testament!! I’m a huge fan of Greg Boyd, and saw this video the other day. I feel like I need a lot of time to absorb and digest what he’s suggesting here. This is a subject that I’ve thought a lot about, and am excited he’s addressing the subject. Note: it took him 8 YEARS (and 700 pages) to do the subject justice… It’s not something we’re going to ‘get’ real quick. Whenever Christians like to slam Islam as being intrinsically violent, they tend to whitewash this issue– (though the Bible does not have the direct exhortations of the READER/LISTENER to wage violence for the faith that the Koran does…) Also Hitchens and other Atheists love to hang their hat on these troubling passages as part of their “no-thanks” regarding worshipping God. The only way these passages make sense to me are if: a) The murderous tracts are simply not historically true, where the recording took place long after the events, and the inspired scribe either got heresay or overinterpreted the degree to which military leaders felt instructed by God, or b) God really WAS that way, but he changed over time. Yes, that flies in the face of all that eternally-unchanging stuff, but there seem to be several instances in the old Testament where a mortal gets into an exchange with God and even changes God’s mind about something. This suggests Malleability. Maybe after millenia of strife and bad decisions by His free-willed creations, he decided to try a different tack. Then again, maybe God truly WAS that vindictive in slaughtering innocent child homo sapiens that were not his preferred ones, in which case, the Atheists have a point. I found the video problematic, and left with a feeling that he dodged the question even after listening through it several times. I accept and profess Christ as the quintessential revelation of God, so we’re in agreement there. ‘Whoever has seen Me has seen the Father’, right? But I wrestle with the speaker’s suggestion that the ‘shadow’ revealed God of the OT is, in the horribly violent things He does (think Noah) or calls his chosen people to do (taking Canaan), is essentially reflecting back to us our own depravity. It seems that he’s saying that the OT is not so much a revelation of God as much as Him holding up a mirror to my face. Perhaps I missed something the speaker was saying. IMHO, we cannot look at the OT God without looking at the whole context. What was the behavior of those other nations – God-honoring? The complete context is horrific beyond imagining yet captured in Paul’s words ‘all have sinned and fallen short.’ God who is utterly true and just is the God of ALL creation. No matter which nation we are, chosen or not. Our killing, stealing, etc. God-despising behavior has consequences. Even today. Who are we, as short-sighted and ill-informed as we are, to grasp what the full consequence of our sins truly is and what form that consequence should take? The old testament has certainly confused me at times. Numbers is my least favorite book so far, but what’s even more puzzling is that if God never changes.. can he be loving an angry at the same time?